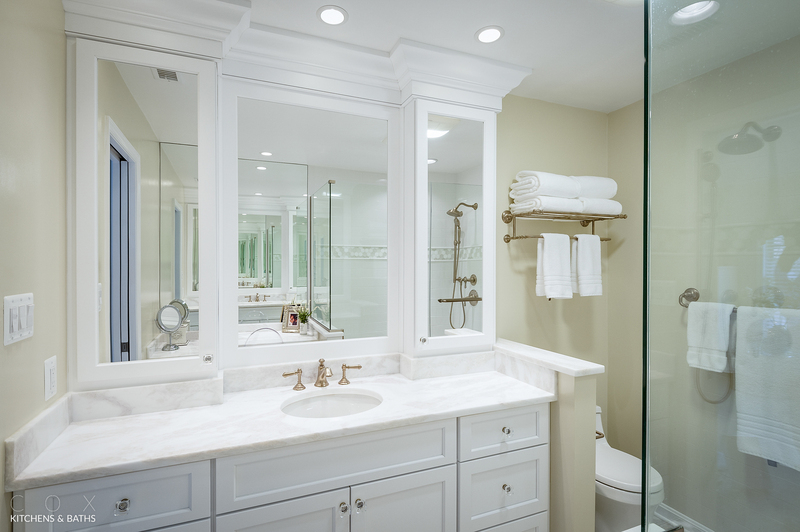 This project included two full bathrooms, a powder room, and a total kitchen makeover. 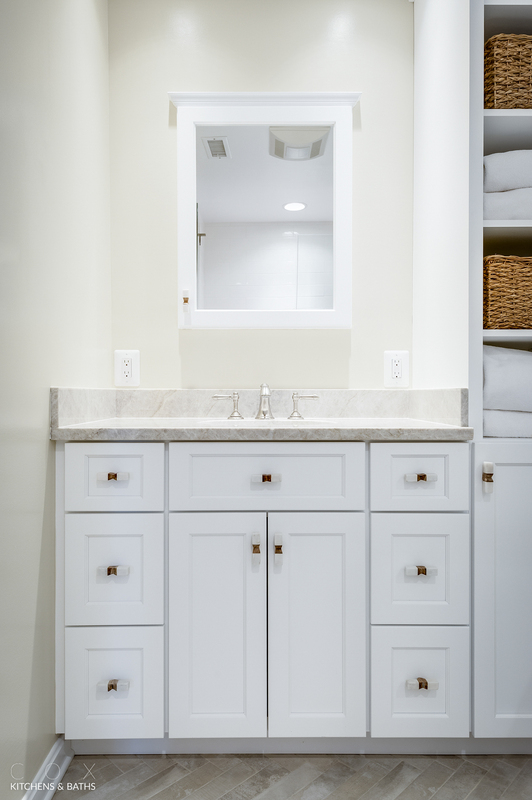 Cox Kitchens & Baths removed bulkheads, fixed leaks, and even captured space for a custom tv cabinet/dog bed combo. 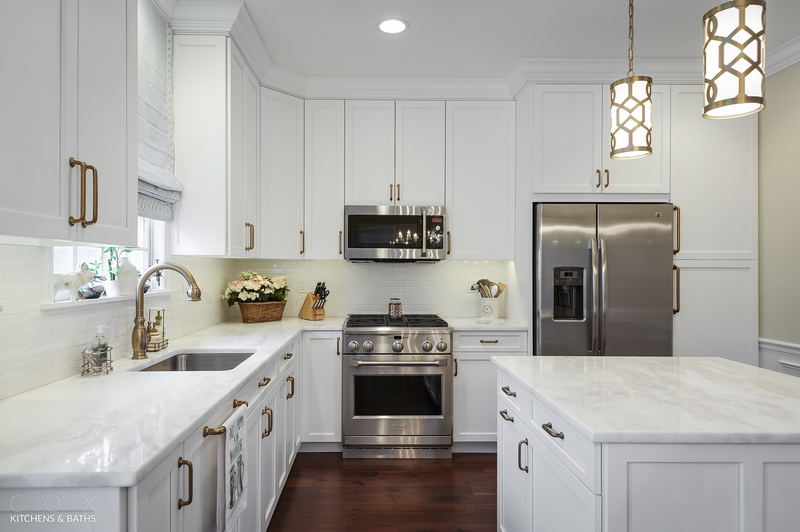 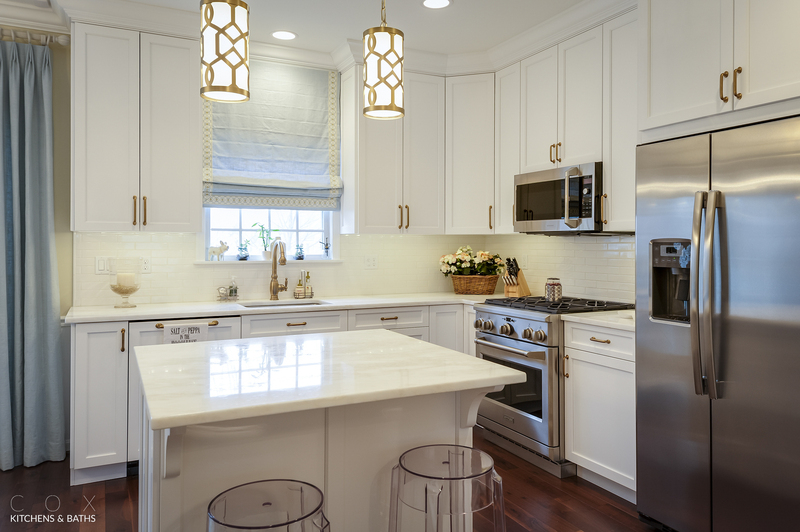 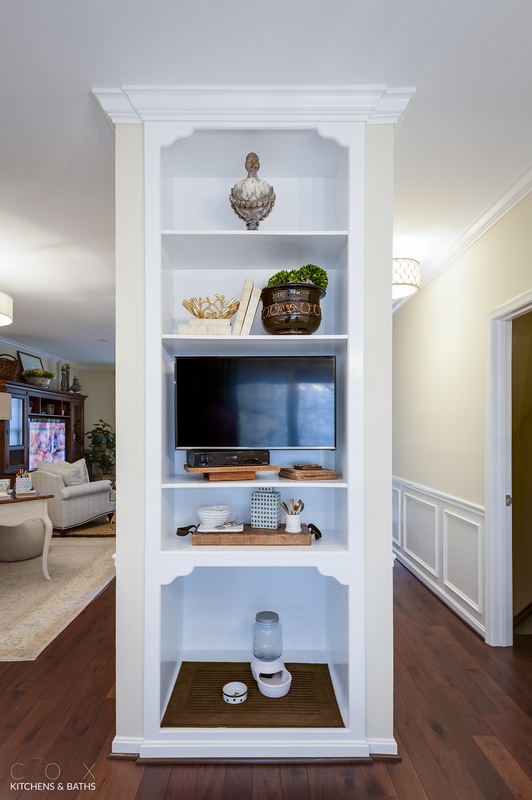 The customer chose custom Signature cabinets with matching dishwasher panel, Mystery White Marble tops, Monogram range, and a new prefinished hardwood floor for the entire first floor. 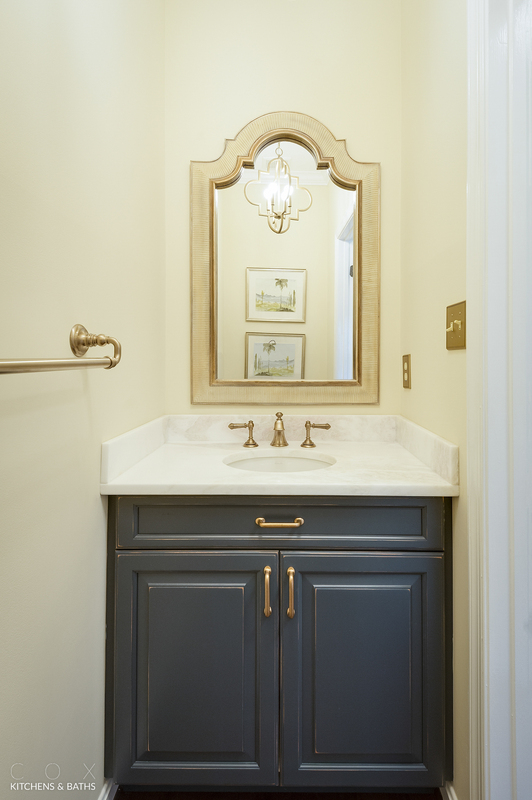 The powder room cabinet has a rub-thru finish on vanity, creating a classic look and feel. 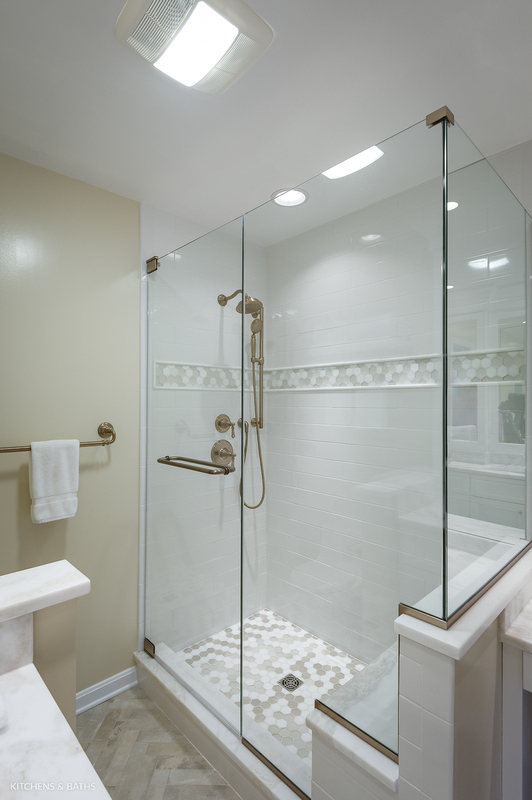 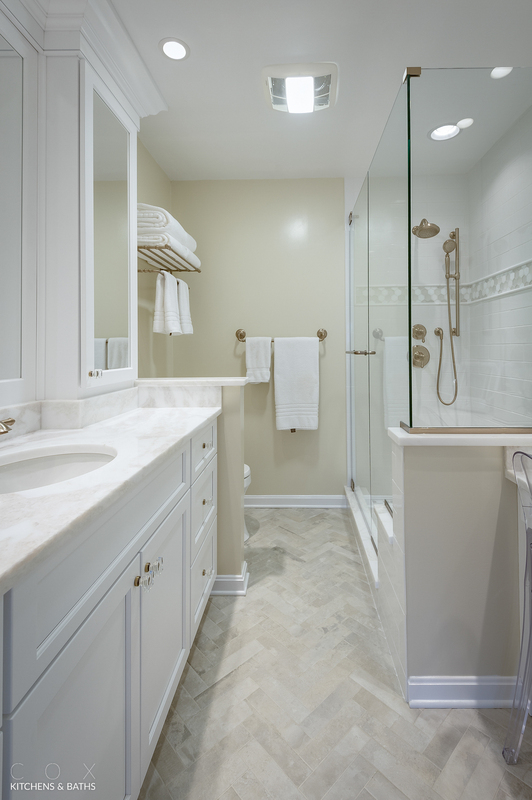 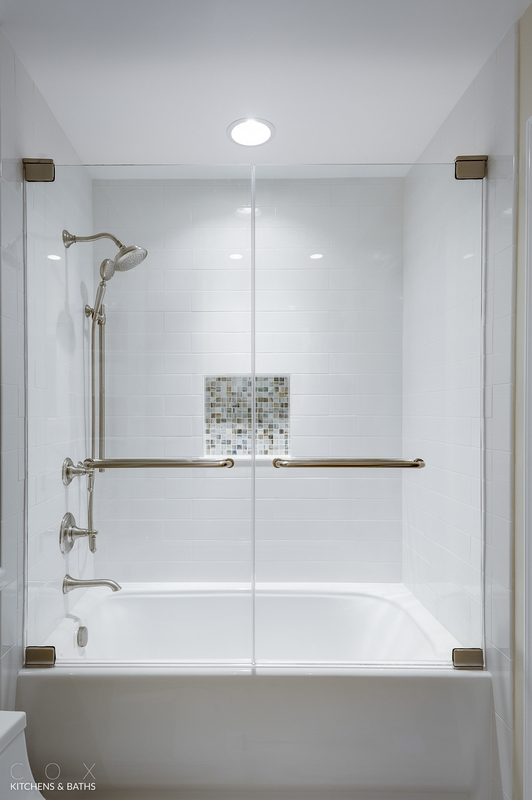 Cox moved a wall in hall bath and added a herringbone tile floor and custom shower pan with a seat to the master bathroom.